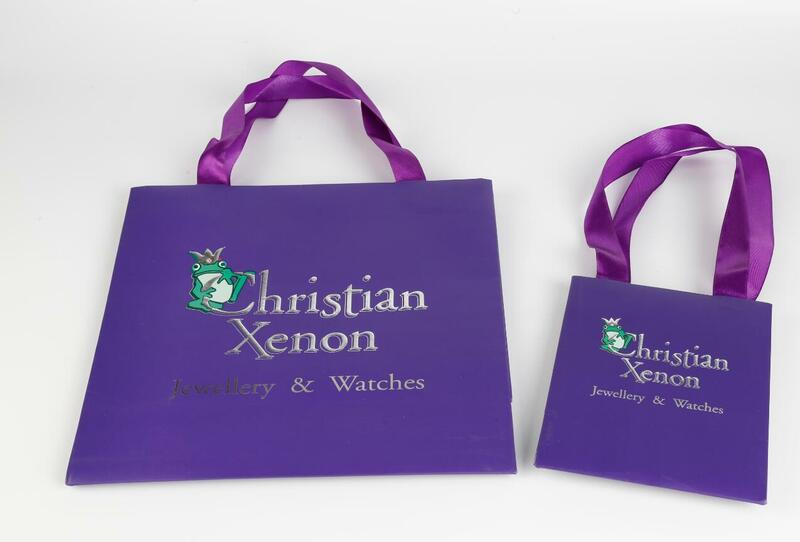 Product categories of Paper Bag, we are specialized manufacturers from China, Paper Bag, Shopping Bag suppliers/factory, wholesale high-quality products of Paper Bags With Handles R & D and manufacturing, we have the perfect after-sales service and technical support. Look forward to your cooperation! Paper Bag is a bag made of paper, usually ivory cardboard and kraft paper, Paper Bags are commonly used as shopping bags, packaging, and sacks. material available normally is 120-300 ivory cardboard and 60-250 gsm kraft paper, handle can be diecut handle, pp rope with different color and length, or flat paper handle, surface disposal can be foil stamping, UV spot/varnish, embossed/debossed, size can be customized according to your request, Welcome to inquire, we will provide you with the most favorable price and best service!